Fifteen minutes south of Albany NY is our primary manufacturing facility. Twenty minutes south East of Syracuse NY is our new satelite location. 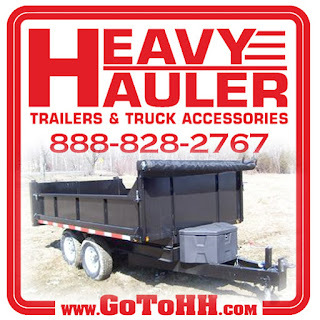 Heavy Hauler Trailers is your competitive supply for quality Truck and Trailer Equipment. We spend our spare time looking for that quality that we would want, if we were the customer. We manufacture a full line of Heavy Hauler Brand Landscape Trailers, Heavy Equipment Trailers, Dump Trailers, and open Car Trailers. 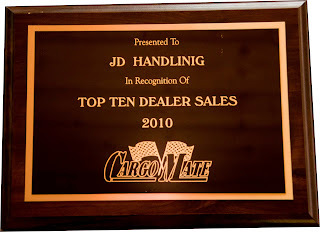 We Stock and continually update our Cargo Mate and American hauler Enclosed trailer inventory. We are a warehouse for Drawtite hitch products, so matching up your new trailer with a quality hitch for your truck is NO PROBLEM. Contractors love our large overstock of Weather Guard truck and van equipment. With tool boxes, Shelving, and truck bodies we can up fit your vehicle for a heavy duty workload. Heavy Hauler Trailers is at the 2013 NPGA Southeastern Convention & International Propane Expo. Showing off some of our custom propane service bodies, crane bumper with built in stabalizers, Maxilift truck cranes, and aluminum van shelving by Ranger Design. Heres some photos of our booth at the NPGA show. If you are in the area, check out some of our custom built equipment tailored to the propane industry. Featuring our custom engineered and manufactured Propane Service Body. Heavy Hauler Trailers' mission is to bring our customers only quality products and services. Setting our own internal standards high is a rewarding practice for a growing small business. The Better Business Bureau's Standards for Trust align perfectly with our business practices and thus we will continue our uninterrupted accreditation and membership. Albany NY Auto Show, We Are Here! March 15-17, 2013 - Heavy Hauler Trailers and Truck Equipment will be at the Albany NY Auto Show hosted at the Times Union Center. Check out over 30 other Exhibits at the Auto Show this year, Including full-line OEMs and Aftermarket Manufacturers. Free Parking all day Friday, Saturday and Sunday at the Times Union Garage in Downtown Albany. Heavy Hauler Trailers / JD Handling Systems, Certified Distributor. Ranger Van Equipment. Heavy Hauler Trailers is proud to be recognized as a Certified Distributor of Ranger Van Equipment, Shelving, Ladder Racks etc. 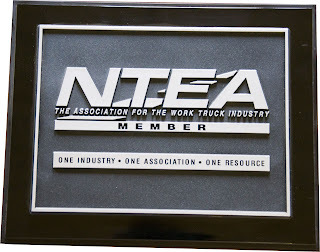 Our knowledgeable staff and engineers are ready to help you design the right equipment system for your truck or van. We choose Ranger Van Shelving as a great foundation in up fitting your vehicle. Ranger provides solutions that are just the right size, secure, and professional looking while also maintaining the lightest weight through the employment of aircraft grade aluminum construction of their shelving and storage systems. With an ever-growing product line and a world-class guarantee, it behooves you to check out Ranger Van Equipment and Shelving Systems for your service vehicle. Precision engineered designs. Through the use of our newly installed plasma cutting machine, the precision of our custom made components has greatly improved. We are proud to offer our customers greater accuracy through tighter tolerances achievable through the use of our new automated plasma cutting table. Applying this system to our previous designs has improved turn around time dramatically. As a service we happily pass on these time saving improvements to our customers. Check out some of Heavy Hauler Trailers' Custom Jobs or contact us directly at 888-828-2767 to speak with our engineers about your specialty project. New Solar Panels are completely setup on the roof. Just need to finish up the grid wiring and switch them on! Heavy Hauler Trailers, here at the Empire State Auto Show - 2012. Come check out our booth full of Snow Plows, Cranes, Vehicle Accessories and More! Monolith Solar and NYSERDA are running a program in which businesses can commit using solar energy for a 10 year contract at 70% of market rate. The Solar system is installed at no charge and reduces usage and demand substantially. Not to mention the overall positive environmental effects. We at Heavy Hauler Trailers are very excited about this project! With all of the rain on Sunday, we could not get started again with the Solar Panel installation until this morning. Here is a shot of the guys placing some of the panels. On the roof of the steel shop we are installing SUNTECH Power Photovoltaic Modules, (Solar Panels). More photos to come as the project unfolds! Trailers, Snowplows, Truck beds, Spreaders, Salters, Service Bodies and More! We Stock and continually update our Cargo Mate Enclosed Cargo Trailers and Lakota Horse Trailer inventory. We are a warehouse for Draw-tite Hitch Products, so matching up your new trailer with a quality hitch for your truck is NO PROBLEM. Contractors love our large overstock of Weather Guard Truck Equipment and Van Equipment. With Tool Boxes, Van Shelving, and Truck Bodies we can up fit your vehicle for a heavy duty workload. Truck Beds, Ladder Racks, Salters, Sanders, Spreaders, Truck Caps, Truck Cranes, Horse Trailers and More! Click the above links to forward to our store listing of the product, or search our entire store at: GoToHH.com Call Toll Free at: 888-828-2767. Congress of Racial Equality serves as a "buffer" to difficult problems facing minorities. CORE aims to support these minorities out of a life of welfare, joblessness, and dependency. CORE has identified a "need to prepare minorities so that they may better maximize the many opportunities that are available to them." CORE is a "beacon of hope for all people who seek to enjoy the fullness and satisfaction offered by the American Dream." It is CORE's focus and support of local communities, support of the jobless through education and access to opportunities, and of course, support of the American Dream that we at Heavy Hauler Trailers appreciate as fundamental opportunities in positive development of our community. Through these common philosophies we at Heavy Hauler Trailers are proud sponsors and supporters of the Congress of Racial Equality. Here at Heavy Hauler Trailers, we enjoy attending the annual NESCA trade show. It gives us a chance to speak with our customer base and get valuable feedback on how their workflows are evolving. Stocking the best products, the products we would buy if we were the customer, is our job! We brought our Maxilift and Cobra demonstration trailer along with us to show off the compact yet powerful abilities of these Italian made Truck Cranes. Out in our new facility in Munnsville NY, Darrell is building our first trailer! This trailer is one of our standard models, a G3000B10. Get more info on our 5' wide utility trailers at our web store. To help serve our growing customer base, we are expanding westward. Just 30 minutes East of Syracuse is our new satellite location in Munnsville NY. Click Here for Directions. 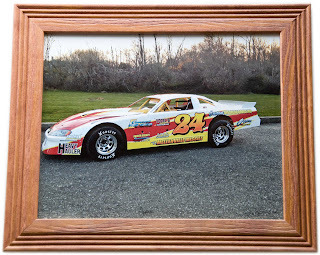 Heavy Hauler Trailers is a proud sponsor of BeLo 3rd and the development of local businesses in the Hudson NY area. 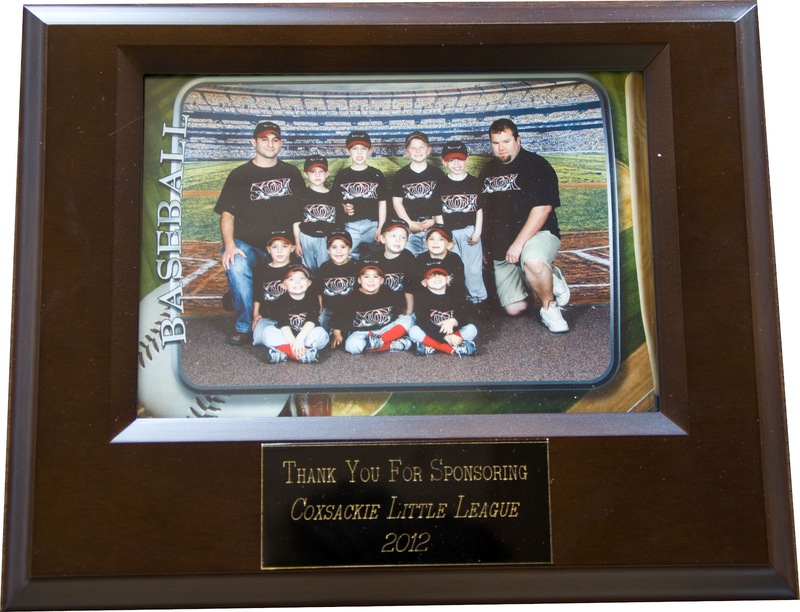 as a sponsor and supporter of the Hudson NY local business community. Heavy Hauler Trailers Proudly Serving Customers at A+ BBB Standards since 2009. We understand that our Customers deserve the very best products available. 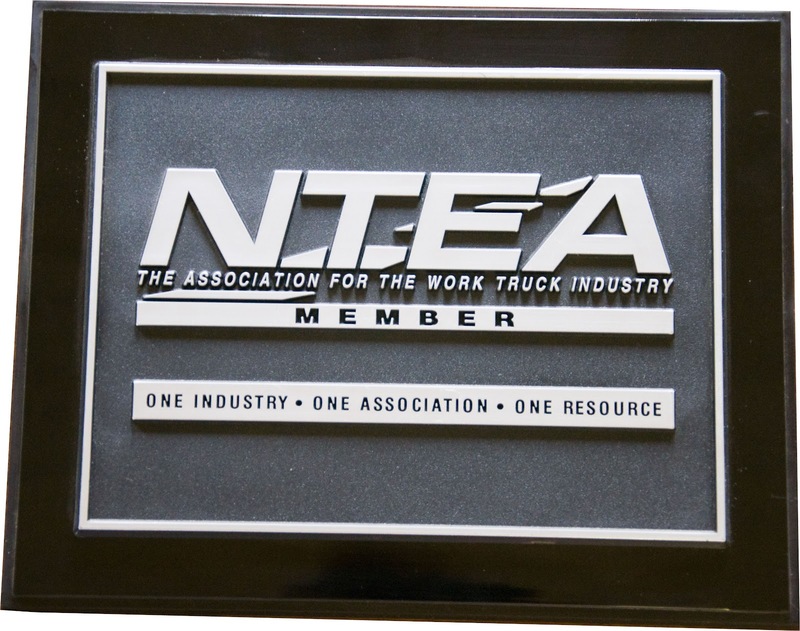 We consider our membership to NTEA as a valuable asset in providing Quality and Safety in the Work Truck Industry. Heavy Hauler Trailers is a Proud Sponsor of the Coxsackie Little League 2012. 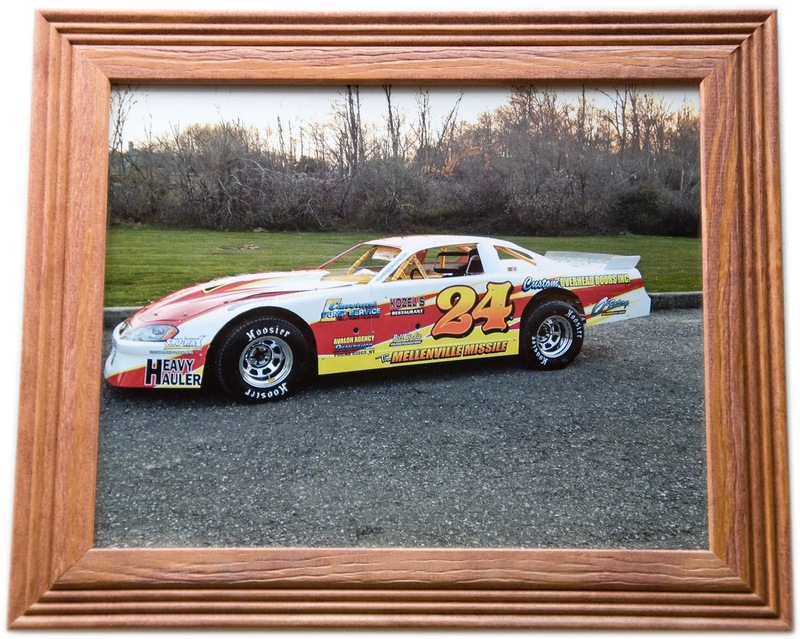 The Mellenville Missile, 2012 Lebanon Valley Feature Winner. Sponsored by Heavy Hauler Trailers and Truck Accessories. Heavy Hauler U7000B16 loaned to "BeLo 3rd," a group promoting business on warren street of Hudson NY. The whale and trailer were featured in this years Flag Day parade. 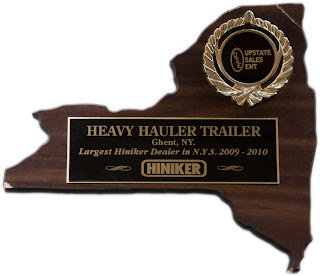 Hiniker Company, Known for their Quality Snowplows, Sanders, and Salters has Acknowledged Heavy Hauler Trailers & Truck Accessories as New York's Largest Hiniker Snowplow Dealer 2009 - 2010. 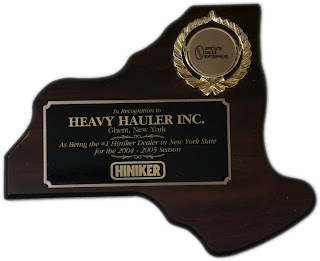 Hiniker Company, Known for their Quality Snowplows, Sanders, and Salters has Acknowledged Heavy Hauler Trailers & Truck Accessories as New York's #1 Hiniker Snowplow Dealer 2004 - 2005. 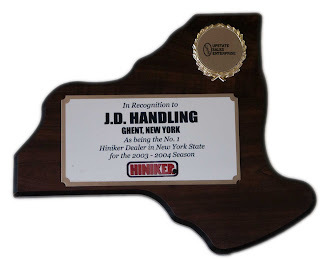 Hiniker Company, Known for their Quality Snowplows, Sanders, and Salters has Acknowledged JD Handling Systems, Heavy Hauler Trailers & Truck Accessories Parent Company, as New York's #1 Hiniker Snowplow Dealer 2003 - 2004. 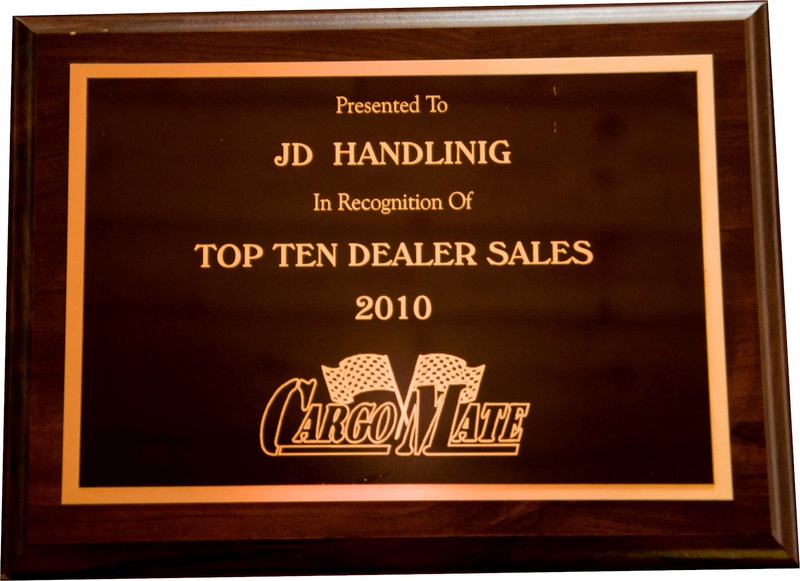 JD Handling Systems / Heavy Hauler Trailers is a Florida Relay Business Partner, Committed to helping people who are deaf, hard of hearing, deaf/blind, or speech-impaired. Supporting Consumer and Business interaction.